Litigants from countries involved in the Belt and Road Initiative will receive professional and efficient legal services if they have commercial disputes in China. The country is building an international commercial dispute resolution procedure to improve judicial cooperation among countries involved in the initiative and provide a better business environment for investors from home and abroad, said Liu Guixiang, a member of judicial committee of the Supreme People's Court. 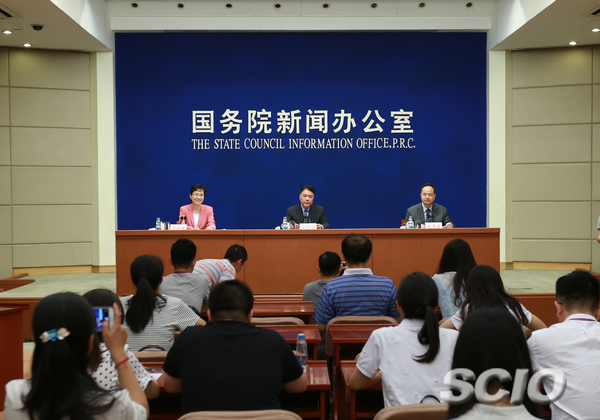 He made the remark at a news conference held by the State Council Information Office of China on Thursday, saying a series of measures to contribute to the mechanism is being pushed forward. For example, the top court will unveil two international commercial courts - in Shenzhen, Guangdong province, and Xi'an, Shaanxi province - this week to help resolve large international commercial disputes such as those involving over 300 million yuan ($45.3 million), he said. "The two courts will give efficient and professional resolutions for litigants who decide to resolve their disputes in our country, and we promise to equally protect their rights, no matter where they are from," he said. "We'll also fully respect litigants' opinions, and supply them with convenient and low-cost services, whether they choose mediation, arbitration or trial to resolve their disputes," he said. To ensure the quality of legal services, the top court will also set up an international commercial expert committee to help mediate and offer advice on how to search and use foreign laws in Chinese courts, said Zhang Yongjian, chief judge of the top court's No 4 Civil Division. "Members of the committee won't only be selected from the countries involved the initiative," he said. "Instead, we welcome any professionals who are good at law, such as international law, and those familiar with investment and trade law." The top court is studying how to select the experts and how the expert committee should operate, he said. All the ongoing work is based on a guideline to establish the Belt and Road International Commercial Disputes Resolution Mechanism and Institutions. It aims to serve the initiative, proposed by President Xi Jinping in 2013, and was approved by the central leadership in January. Court statistics showed that Chinese courts at all levels concluded 25,916 foreign-related cases of all types in 2016 and that initiative-related disputes increased rapidly.